William was educated at Kingsland School, and Pebbles Burgh and County High School. He gained an apprenticeship as a designer with D Ballantyne & Co, March Street Mills, Peebles. He enlisted into the R.A.M.C. when war broke out and trained with the 54th Field Ambulance. 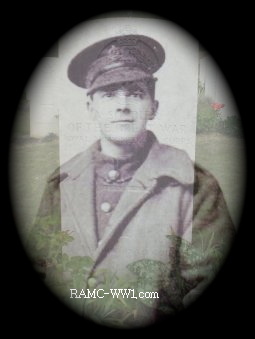 He was wounded at Longueval, on the Somme, in July 1916 and was invalided back to the UK. He died of pneumonia. At the time he was an attendant at Dykebat War Hospital, Paisley. William was the son of Robert M and Helen Russell of Bayelaw, Peebles.